The Cromwell Association takes your privacy and personal data seriously. This Privacy Notice sets out the way we obtain, process, and retain your personal data. We do this in strict accordance with current General Data Protection Regulation (GDPR) and other data protection and privacy legislation, where applicable. This Notice explains your rights over your personal data and sets out how to contact us on this issue. 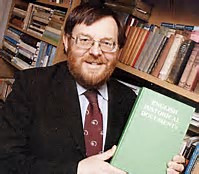 The Cromwell Association was formed in 1937 and is a registered charity. 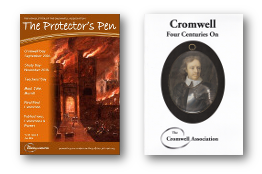 The purpose of the Association is to advance the education of the public in both the life and legacy of Oliver Cromwell (1599-1658), politician, soldier and statesman, and the wider history of the seventeenth century. We collect personal data from members at the point of their joining the Association and always with the new member’s explicit consent. We also receive updated or supplementary personal data from time to time from existing members, again with their consent. The information we hold is very basic: title, name, address, email address, subscription payment information. Note we do not hold, or seek to hold, members’ date of birth, anything which might indicate income, purchasing preferences or anything else of a personal nature; just the information we need in order to ensure that we can communicate with you effectively about the Association, its events and activities, and those of other organisations which we think may be of particular interest to you. Please note that we will never process your personal data without your explicit consent. We seek this at the point of new members joining and also contacted all of our existing members earlier this year to obtain their consent to our continuing to communicate with them using their personal data. Please let us know as soon as possible if you do not think you have been contacted by us in this way or believe you have not yet given us your consent. We use your personal data to manage membership and related benefits and, in particular, as a means of contacting you to send you the communications you have agreed to receive. Your personal data is received by our Treasurer at the point of joining and kept securely in our members’ database which is maintained by our Membership Secretary (our designated Data Processor) and visible, only with his permission, to our Treasurer and Chairman (our designated Data Controller). We never sell your personal data or share it with third parties. You are always in control of how we communicate with you and you can update your choices by contacting us as set out at the end of this Notice. We retain your personal data for the shortest appropriate period for each of our purposes and we review our procedures regularly to ensure we are not holding it for longer than necessary. We take every reasonable step to keep your personal data up to date. However, if you believe the personal data we hold about you needs amending or updating please contact us using the details set out at the end of this Notice. Please also contact us if you wish to change your stated preferences for how we communicate with you. At any time in the future you can ask us to delete any or all of your personal data. You also have the right to ask us, in writing, for a copy of all the personal data held about you (this is known as a ‘subject access request‘). If you request a copy of your personal data, it will be sent to you as soon as possible, but not later than 30 days after your request. If you ask us to delete it, we will do so within 30 days unless we are required to keep it for a longer period for legal reasons. Please note that if you request deletion of all of your contact details, you will be deemed to have resigned from the Cromwell Association, as we will be unable to manage your membership or distribute publications without it. To request that your personal data be deleted or to ask for a copy of it, please contact us using the details set out at the end of this Notice. We will keep this Privacy Notice under regular review and update it as soon as possible where appropriate. We will post any changes to our website, or notify you of any material changes by e-mail. Please get in touch with us using the contact details at the end of this Notice if you have any questions about this Privacy Notice or wish to discuss your personal data.